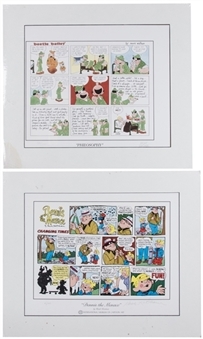 Included in this lot are two matted comic strips signed by the creator of said comic strip. The first item in this lot is the Beetle Bailey strip “Philosophy” by Mort Walker. 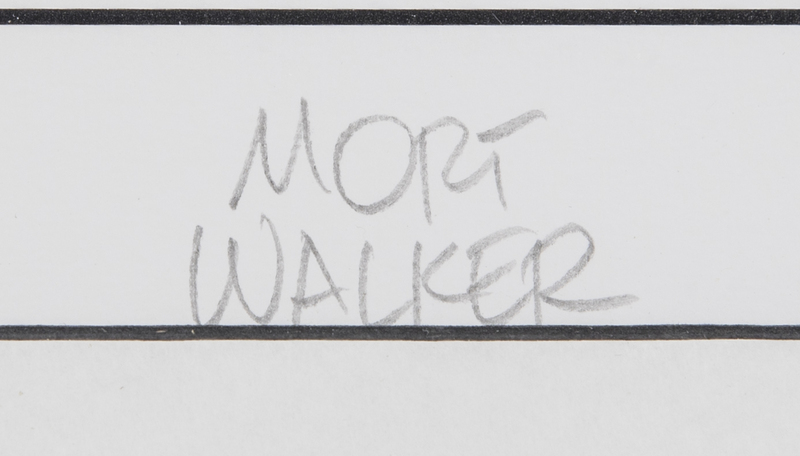 Walker has signed this comic strip in gray pencil. 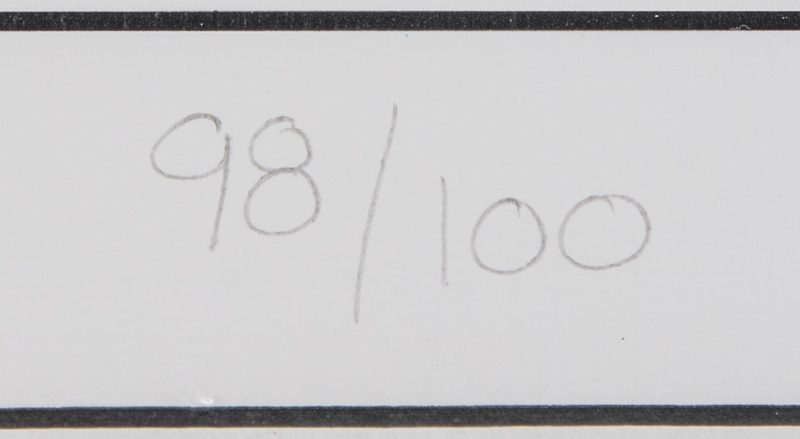 This item is matted to the dimensions of 21.5 x 19 inches. 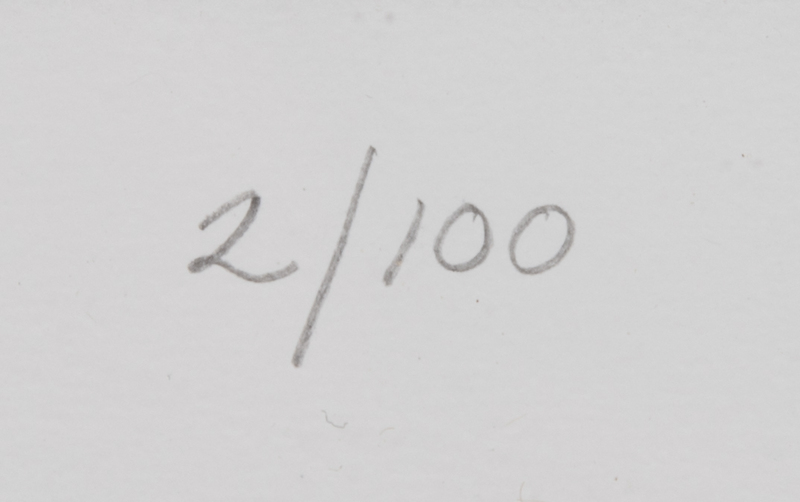 It is a limited edition 98 of 100. 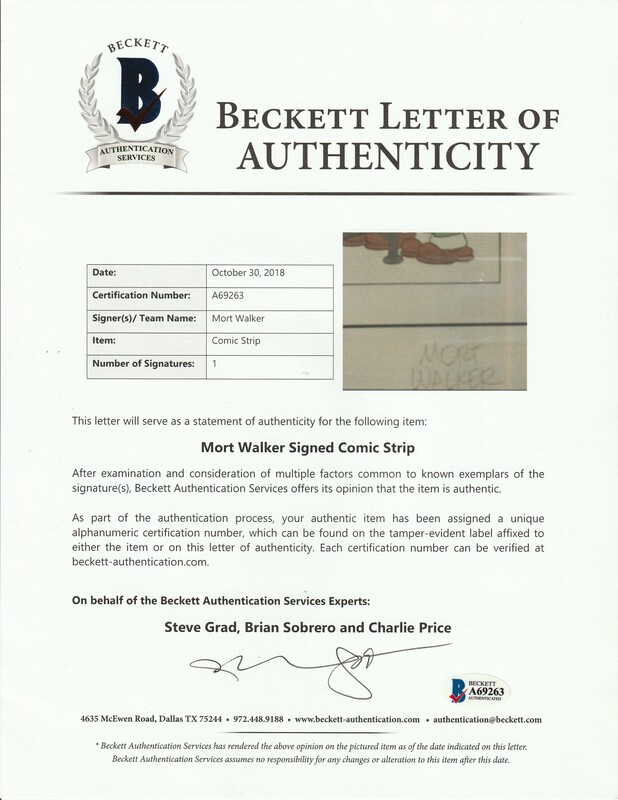 Please note that there is some damage on the lower corner of the matting, however this does not detract from the quality of either the comic or Walker’s signature. The second comic in this lot is the Dennis the Menace strip “Changing Times”. This comic strip has been signed in gray pencil by Hank Ketcham. It is matted to the dimensions of 22.5 x 19 inches and is a limited edition two of 100. 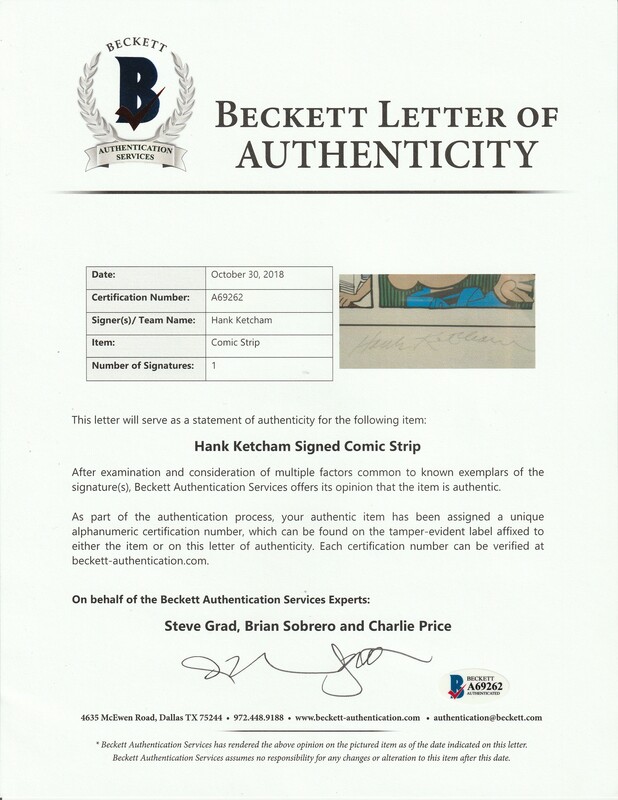 Each comic strip comes with a LOA from Steve Grad of Beckett Authentication.